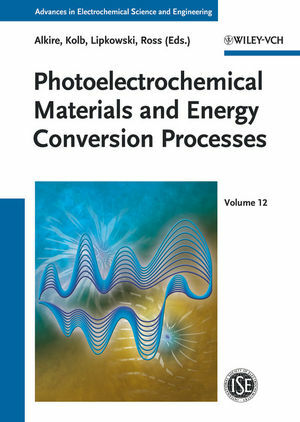 An international group of leading scientists from the field has contributed to the 12th volume in this series, covering a range of different types of solar cells and including a critical comparison of the different techniques available for manufacturing the semiconductors needed. The result is an expert insight the central questions surrounding photovoltaic materials and systems, reflecting the latest developments in this hot and timely green topic. Dieter M. Kolb is Professor of Electrochemistry at the University of Ulm, Germany. He received his undergraduate and PhD degrees at the Technical University of Munich. He was a Postdoctoral Fellow at Bell Laboratories, Murray Hill, NJ, USA. He worked as a Senior Scientist at the Fritz-Haber-Institute of the Max-Planck-Society, Berlin and completed his habilitation at the Free University of Berlin, where he also was Professor. Prof. Kolb has received many prizes and is a member of several societies. Philip N. Ross has recently retired from his position as a Senior Scientist at the Lawrence Berkeley National Laboratory. He received his academic degrees at Yale University, New Haven, CT, and University of Delaware, Newark, DL. He has received the David C. Grahame Award of the Electrochemical Society, and is a member of several Committees and Advisory Boards.